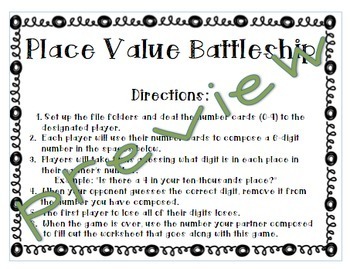 Great activity for practicing place value up to the hundred-thousands place! 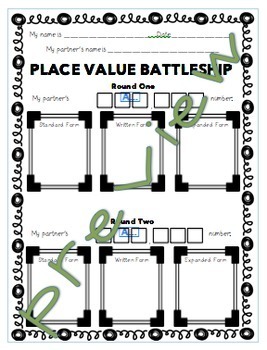 This game gives students accountability while allowing them to play a fun game in pairs. 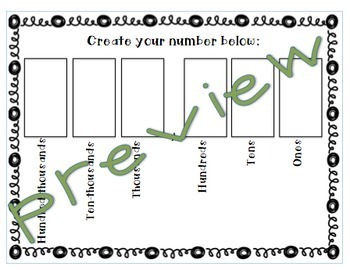 Students are given the chance to compose their own number, and then take turns guessing the other person's digits. The first player to guess the entire number wins! 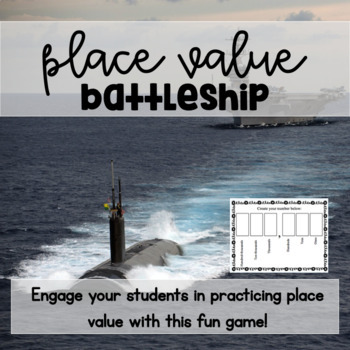 This game makes it necessary for students to use their vocabulary and to play strategically. This game has been made specifically for fourth grade students and includes the ones, tens, hundreds, thousands, ten-thousands, and hundred thousands place. However, it can be easily modified to add or take away places based on the learning level of students.